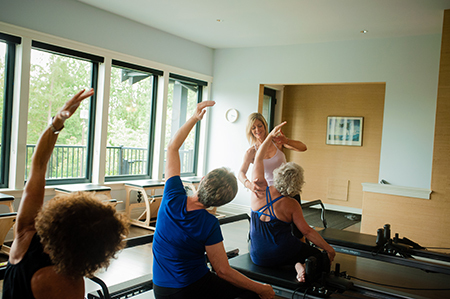 Trainer Backgrounds - CoreBody Pilates + Yoga Inc.
Stephanie Roberts has studied and taught Pilates for 17 years and teaches her clients to build proprioceptive alignment finding the balance between stability and mobility for pain-free movement. In 2003, she opened and ran a boutique studio in Edgemont Village for 14 years which was a wonderful experience and she continues to teach these clients today. 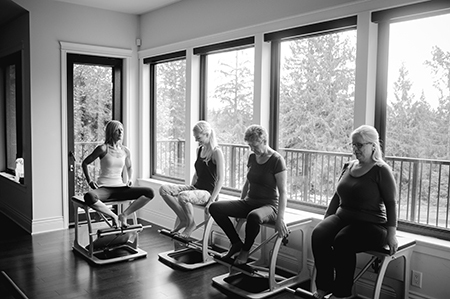 Six years ago, she had the opportunity to build a 2nd studio within her home in Deep Cove. In 2013, she was able to add various Instructor training courses for new and current pilates instructors with Anita Seiz, a valued colleague. Initially STOTT certified, 5 years later Stephanie took Anita’s Seiz’s ‘Advances in Pilates Technique’, an in depth continuing education training based on M-J’s Advances in Pilates Technique approach. (Long Beach Dance Conditioning). 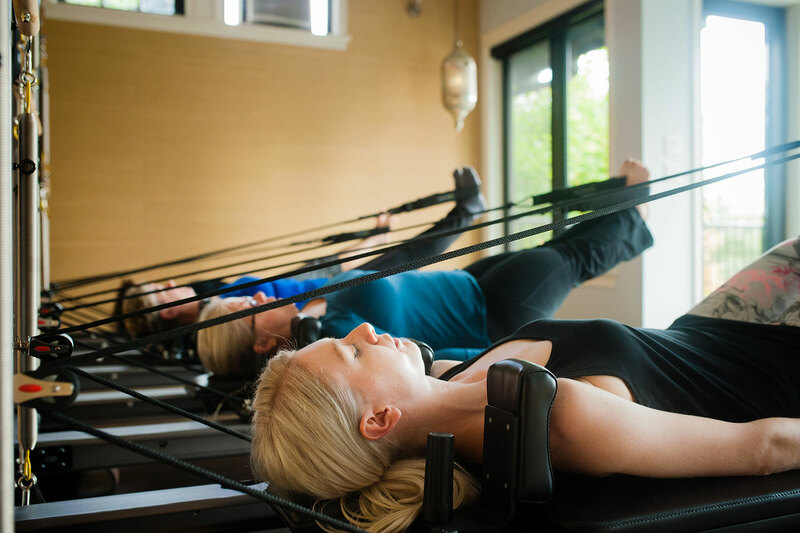 Stephanie completed her SOTT pilates mat, reformer and chair, cadillac and barrels certification in 2001. She completed her Yin Yoga certification with Bernie Clark in 2009. She completed her Thai Massage training with Gordon Waselnuk in 2009. www.corebody.ca. ANITA SEIZ comes from a background of dance in classical and contemporary styles. She graduated from Boditree’s comprehensive program in 2002. In 2004 she graduated with distinction from Long Beach Dance Conditioning’s highly respected Advances in Pilates Technique training under Master Instructor, Marie-Jose Blom. This deeply added to her existing experience and prompted further study under Eric Franklin. In 2005, she certified in the Franklin Method, emphasizing postural and biomechanical imagery techniques. Imagery supports her work in movement re-patterning and expanding client’s access to movement potential.